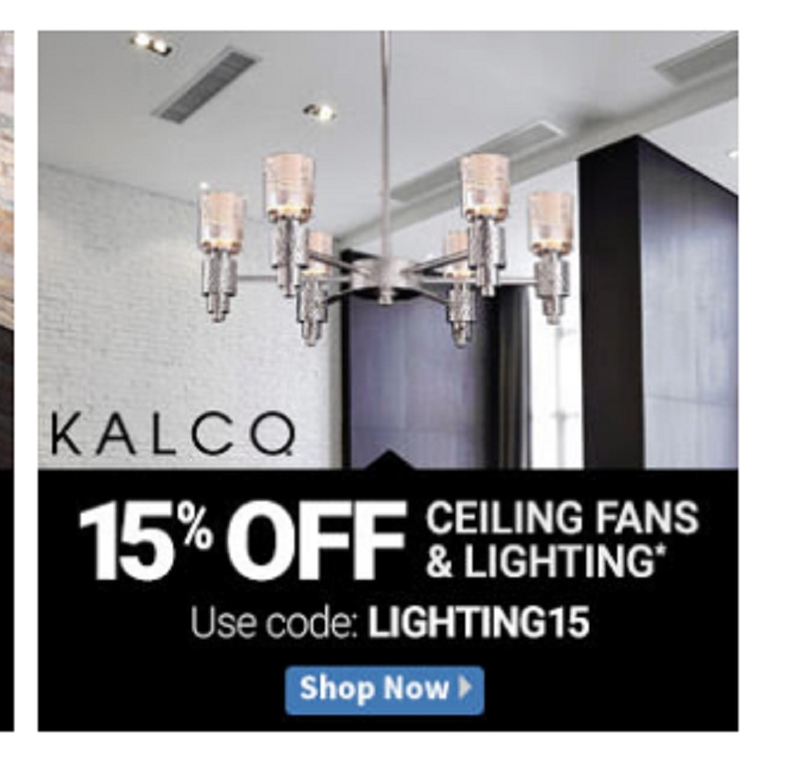 Angel Tineo 15% Off Ceiling Fans and Lighting. This offer is for limited time. Enter this code in your bag. 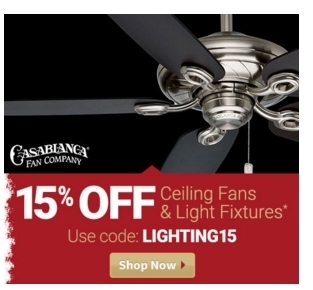 Angel Tineo 15% Off Ceiling Fans and Lighting. This offer is for limited time. Put code in your cart. 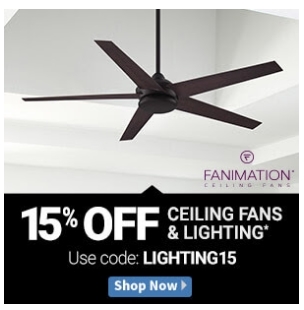 Jhonaiker Guanipa *15% Off Ceiling Fans & Lighting: Enter coupon code LIGHTING15 at checkout. 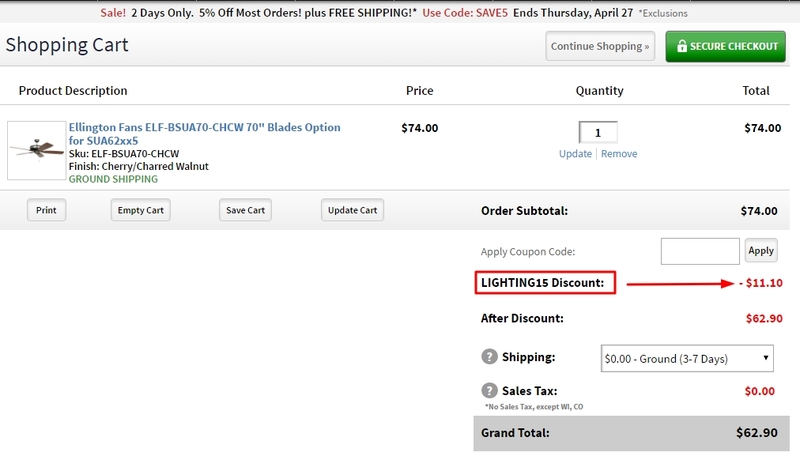 Coupon will be reflected as a 15% discount on the merchandise subtotal on the checkout page. Coupon is not valid on shipping and handling charges. Some exclusions apply.The following brands are excluded: Kohler Lighting, Moen Lighting, Kichler, Quoizel, Progress, Feiss, Sea Gull, Philips and Minka Aire. Not valid for prior purchases. Offer may not be combined with any other coupons. 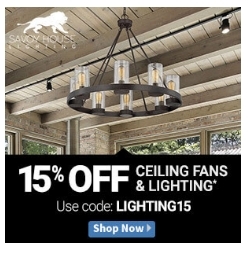 Vera Shiminsky *15% Off Lighting Fixtures & Ceiling Fans: Enter coupon code LIGHTING15 at checkout. 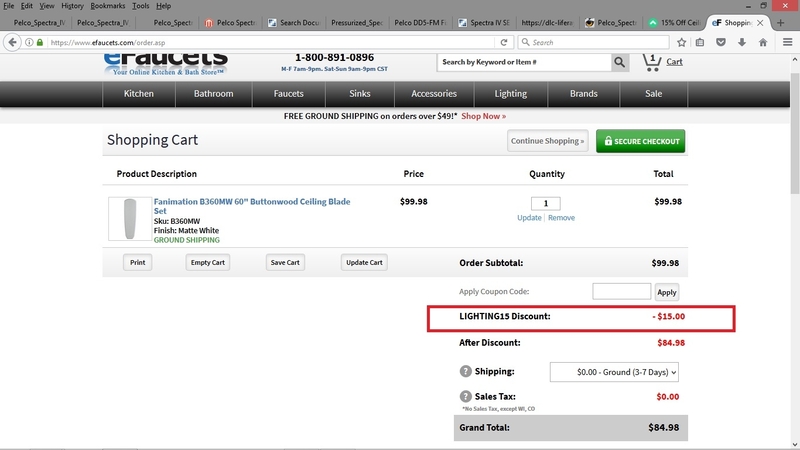 Coupon will be reflected as a 15% discount on the merchandise subtotal on the checkout page. Coupon is not valid on shipping and handling charges. Some exclusions apply. 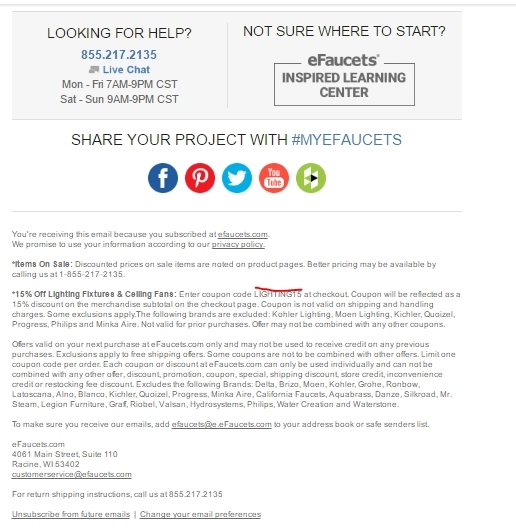 The following brands are excluded: Kohler Lighting, Moen Lighting, Kichler, Quoizel, Progress, Feiss, Sea Gull, Philips and Minka Aire. Not valid for prior purchases. Offer may not be combined with any other coupons.